The Star of the West Hotel in Port Fairy is on the cross of Sackville and Bank streets in the heart of Port Fairy. It contains a front bar with TAB and two dining areas behind with a large beer garden out the back. The lunch menu covered plenty of standard pub fair, with a focus on seafood. We ordered at the bar and had a reasonable wait given how busy it was. 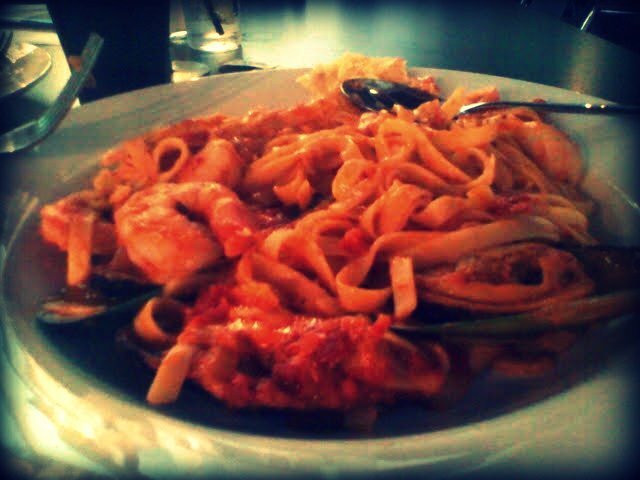 I chose the seafood marinara had plenty of tasty prawns, mussels and scallops in an average tomato sauce with slightly over cooked fettuccine. 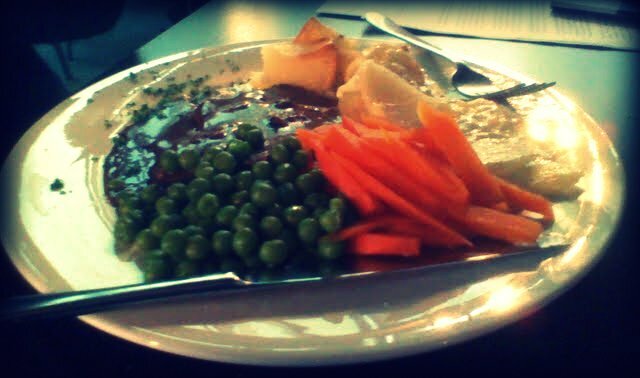 The generous serve of roast beef also enabled the diner to make a trip to the vegetable loaded bain-marie. Everything was well cooked and tasty.